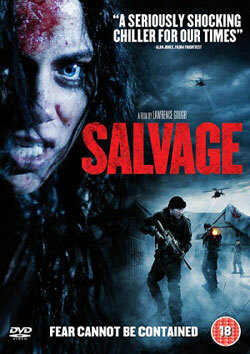 Lawrence Gough’s taut, tightly-plotted apocalyptic thriller Salvage is a spirited directorial debut that gains from satisfying plot twists and the tough-girl performance of its star Neve McIntosh. If George Romero made an episode of Brookside (the old British TV soap opera) then it would probably look like Salvage. Sort of. First time feature film director Lawrence Gough weaves a taut, tightly paced thriller with unsettlingly ambiguous foundations. It also boasts some satisfying twists within otherwise predictable plotting and a terrific bad-girl-come-hero performance from the film’s lead, Scottish actress Neve McIntosh. Salvage begins in typical stalk and slash style before settling upon an apocalyptic doomsday narrative. A boy, delivering papers in a well-to-do neighbourhood in suburban England, is attacked by an unseen force. 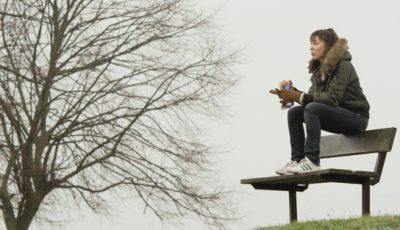 We’re then introduced to a father and his daughter (Jodie played by Linzey Cocker), the young girl revealing how reluctant she is spending time with her estranged mother at Christmas. After her father drops her off, Jodie enters her Mum’s house only to find her in bed with a stranger (Kieran played by Shaun Dooley). This starts an argument, Jodie storms off to a neighbour’s house, and Beth is left standing in the cul-de-sac with just a short nightgown covering her modesty. So far, so soap opera. That isn’t surprising given the director’s experience directing episodes of popular British soaps and TV drama such as Hollyoaks and Misfits. Yet, he throws his first curveball at this point in the story. Having established Jodie as our point of reference, our attentions are switched to Beth who becomes the focus of the ensuing horror. This begins when she’s hauled to the ground by a heavily armed soldier. Other soldiers appear, swarming the once peaceful neighbourhood. She’s ordered to lock herself indoors; to barricade the windows and doors. No explanation is given. However, the soldiers are on edge; something very bad is happening, we just don’t know what it is. Now Beth is holed up in her house with the fella she had just left sexually frustrated. One night stand or not, the pair are now fellow survivors in this enigmatic tale of suburban terror, and they’re stuck together. Director Gough keeps things moving: his handheld photography gives the nerves another jangle while tensions rise in and out of the house. 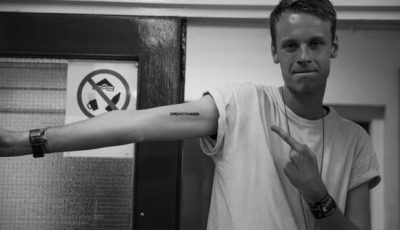 For example, in a nod to contemporary social anxieties, Kieran is convinced it’s all about Islamic terrorists after learning of an Asian neighbour being shot and killed by the armed tactical team. His increasingly unstable paranoia unsurprisingly unsettles a nervous Beth whose principle concern is the welfare of her daughter. 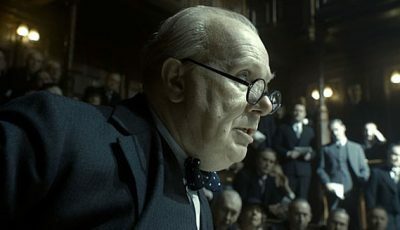 Gough ramps up the tension even further after the next-door neighbour breaks through the adjoining wall, adding to the film’s sense of domestic unease. Certainly, if its political musing is a little too telegraphed, Salvage’s depiction of suburban disarray and casual racism is indicative of the everyday fears coursing through the veins of 21st century Britain. 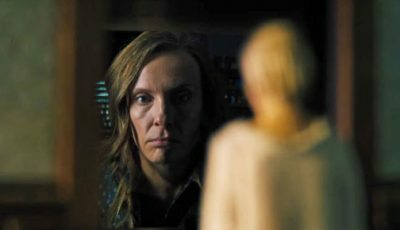 But at its heart, the film is a tidily calculated thriller that, while suffering from a few structural conveniences and genre clichés, works terrifically well as an immersive nightmare founded upon an ambiguous conceit. McIntosh must also be commended for a performance of bloodied girl power, her work reminding me of Shauna Macdonald’s turn in Neil Marshall’s impressive The Descent. McIntosh is an amazing actress. Watched this on TV. Thought it was okay if a little bit samey (I mean, I’ve seen this sort of thing before) but definitely worth checking out if you like post-apocalyptic/slasher/paranoia stuff.